South African referee AJ Jacobs is the only newcomer on the list of 17 referees for Super Rugby for the 2018 edition of the competition, SANZAAR announced on Monday. 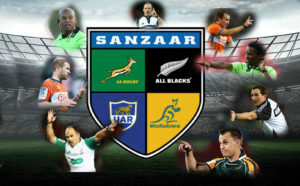 He joins former Stormers wing Egon Seconds on the match official list, after the latter’s successful debut season last year. Apart from five South Africans, there are also seven New Zealanders, three Australians and one each from Japan and Argentina on the panel. Three referees previously on the 2017 panel are no longer included in the new panel. Quinton Immelman and Jaco van Heerden have been redeployed to the Pro 14 referee panel, while Rohan Hoffmann is completely excluded. I, for one, will not miss the latter. Next articleMore All Blacks Moving Out?